This Holoplatys camplanata was driven out of its tiny crevice above the front of our garage by the sun. The temprature was over forty degree centigrade and the front of the garage got the full dose of the heat. 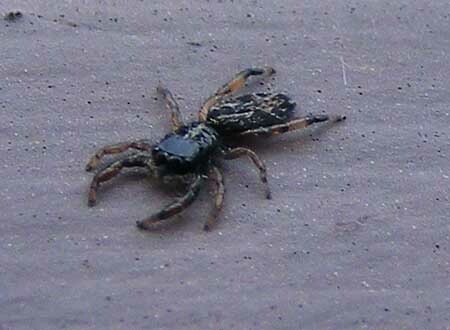 Its prey, also driven out of a crack in the wall by direct sun baking the surface, was a Jovial Jumping Spider. 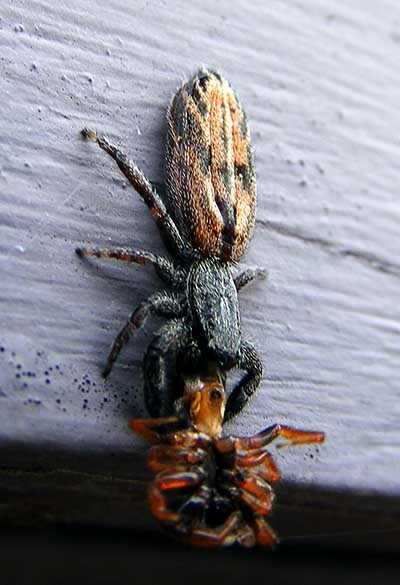 Chink Spiders are normally found beneath the bark on the trunks of eucalypts. I think they prefer smooth barked species. This specimen was measured to be 20mm long from the beginning of the carapace to the end of the abdomen. 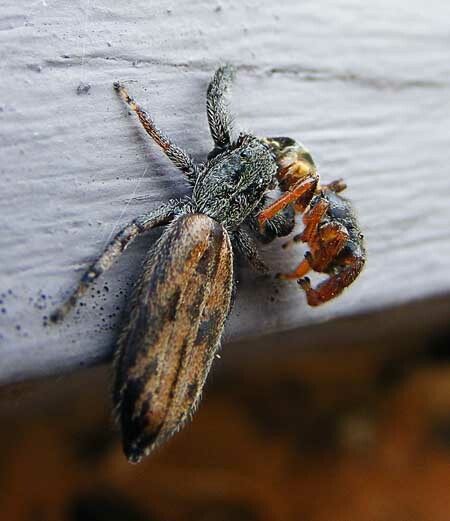 A very large jumping spider. It may also be locally named Chink Spider because it likes to hide in crevices. According to Wikipedia this species is found in Queensland, Northern Territory and New Guinea, now it is also recorded on the Central Coast of NSW near Wyong. Thanks to Ron Atkinson for the id.